Today we want to share with you a game similar to "Who wants to be a millionaire?". 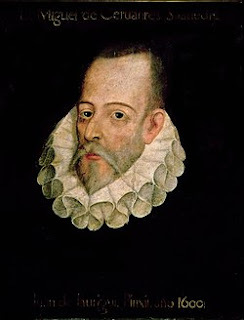 All the questions are about Miguel de Cervantes Saavedra, our beloved creator of "Don Quixote". Do you think you know enough about Cervantes' life to accept the challenge? 6 questions regarding the writer's life and work to get 1.000.000 points! Leave a comment to let us know how well you did it: ¿Bien? ¿Mal? ¿Muy bien? We are looking forward to hearing from you!